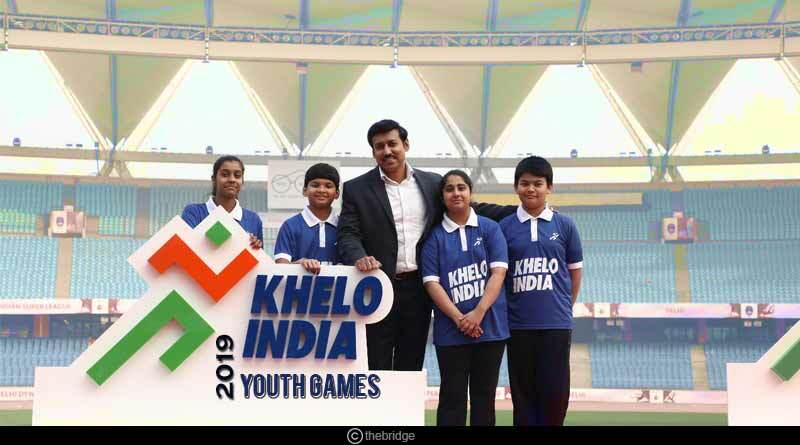 After the resounding success of the inaugural 2018 edition of the games, the Khelo India Youth Games 2019 is back with an aim to nurture the best young athletes in the country. Having clearly put a huge onus on sports, the government has stepped up its efforts to make the tournament even better than before, shortlisting a total of 6,000 boys and girls in the U17 and U21 category who will contest over a total of 18 different verticals that will include 6 team sports like hockey, football, volleyball, Kabaddi, table tennis and basketball. The Khelo India Youth Games was begun with the intention to promote the culture of sports and excellence among the youth and earmark and handpick the best sportspersons in the country for the Khelo India Talent Development scheme which will see these athletes be given world-class training, scholarships, equipment and facilities to hone their skills further. India as a country has always been one that has been brimming with exceptional talent in a plethora of disciplines and this can be seen from the fact that three participating athletes at the game are just 10 years old. Showing immense promise on the sports field, the Youth Games is for the youngsters of India a lifetime opportunity to achieve their goal of showcasing their immense talent pool at the biggest stage in the country in front of viewership of millions. Kickstarted on January 31st 2018 with the vision of uplifting young talent from the grassroots level to provide them with the best opportunities to help them in building their sporting careers, the games have given birth to a hoard of exciting, eclectic, dynamic and gutsy athletes who have been able to achieve their dream owing to this initiative of the Ministry of Youth Affairs and Sports. Khelo India is built on such a structure that it will see the best athletes from the SGFI U17 and U21 competition and NSF competitions across various categories come around one roof to compete amongst each other for top laurels along with the prestigious list of players who have made their mark on the international stage. The success of the Khelo India Youth Games can be garnered from the fact that India had its most successful year at the Youth Olympics in 2018 with the medal winners list being made of several athletes selected from the Youth Games initiative. It is a huge testament to the immense hard work put in by the government and its ministries to ensure that the path of development of sports in the country moves on the right track, gifting during its journey the country an eye-catching range of gifted athletes, fine honing their skill sets to make them star performers and world beaters. Khelo India Youth Games 2019 will open its curtains on January 9 and go on from a period of 11 days, lasting till January 11. Prime Minister Modi will be addressing the ceremony through a video message. Haryana had topped the medal charts in 2018, consolidating their status as one of India’s leading states for sports with 38 gold, 26 silver and 38 bronze medals. Following them were the hosts of 2019, Maharashtra, with an accumulated tally of 110 medals which included 36 gold, 32 silver and 42 bronze medals.